As record sales tumble and even the purchases of singles wind their way down, artists need to find new ways to support themselves. Though streaming does pay, we're all pretty aware by now that it isn't filling in the gaps where record sales used to be, at least not for every artist. Touring is a great way to keep the money flowing your way – but there's only so much traveling an artist can do before either getting burned out or deeming it fiscally irresponsible. One additional option in the live sphere is streaming a special performance for those who might not be able to make it to your shows. Whether you know it or not, you may have fans all around the world that would be willing to pay at least something to see you perform live. If, for example, you can't make it to play a show in Alaska or Slovakia, but you want your few fans in those places to enjoy a show, why not stream one online? It might not be the same thing as going to a real show, but it certainly beats nothing. There are quite a few sites set up for musicians to do just that. We've already mentioned a few options, but here are a handful of others that are on their way up, any of which could be right for you and your band. 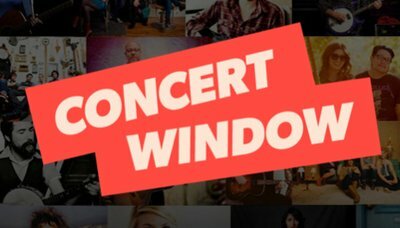 Why we love it: With Concert Window, some of the concerts aired on the site are actually taking place at a venue, while others are, in fact, from artists sitting at home. The site allows artists to set a date and time for their show – as it is live – then either set a price or let people pay what they want. In addition, there's an option to "tip" the artist, which can help increase revenue, even from those who decided to only pay a dollar or two for the performance. Those tips are very important, as they can end up comprising a large portion of the total money earned. What it costs: It's free for artists to sign up, but the company will take 30 percent of whatever revenue you bring in. They're also pretty clear in saying that artists get paid via PayPal within 24 hours of a show. How to get started: Just sign up on their site as an artist. Why we love it: StageIt creates an experience that's almost as close as you can get to a real concert without ever leaving your home. The show begins at a certain time, ends at a certain time, and will never be seen again – just like what happens when you head to a venue. While some of these at-home services will record shows and save them for later (not necessarily a bad idea), StageIt doesn't do that because it would take away from the experience of the show. 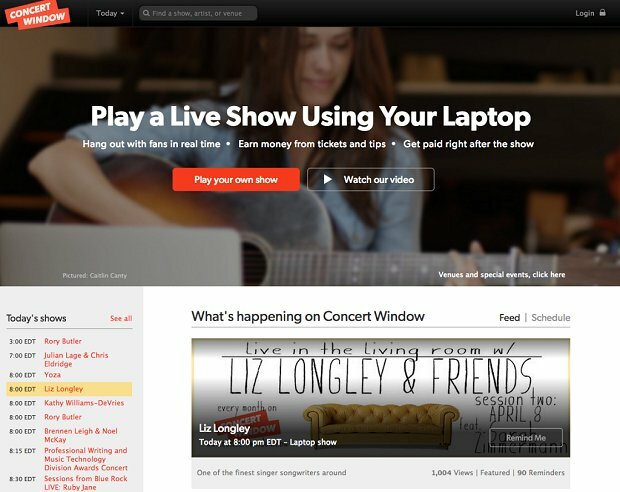 StageIt has hosted shows by some of the biggest names in music, including Sara Bareilles and American Idol winner Kris Allen. On StageIt, you're also allowed to tip performers, but there's a new feature which gamifies the experience, adding prizes for those who tip the highest. If you're the most generous, you could walk away with signed CDs, merchandise, or access to new music. What it costs: The more you bring in, the smaller percentage of revenue the company takes. So, for example, if you earn under $500 (or 5,000 "notes," which is essentially 10 cents), you, the artist, take home 63 percent of the total. From there, your percentage increases, all the way up to a maximum of 83 percent, but that's only if you gross at least $50,000. 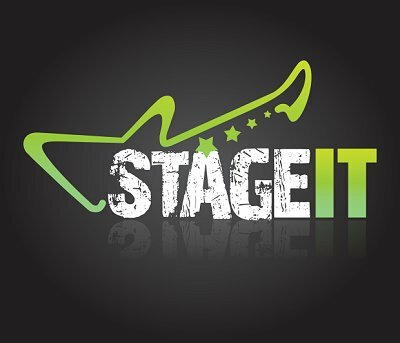 How to get started: It's incredibly easy – so easy, in fact, that in trying to discover how to sign up, I actually did so and am now a "StageIt Performer." You can sign up by logging into your Facebook, and then say you're a performer. That's it! 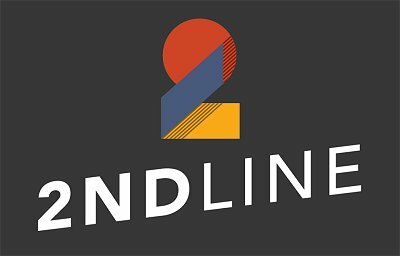 Why we love it: The name 2ndLine comes from New Orleans, where for many years, bands have had a tendency to just start long performances out of nowhere on the street, marching through as they play. A crowd of music fans typically forms behind them, creating an instant and short-lived community – the feeling you get when you're watching a band perform. 2ndLine isn't just meant for singers and musicians; anyone with something to perform can use it. Dancers and other artists have been known to use the site to much success. The big difference with 2ndLine is that it isn't for live-streaming, but rather airing a previously filmed performance and watching alongside your fans. The artist can interact with those tuning in as the show rolls on. If you're a musician, it can be extremely lucrative if you put on a high quality show. When I recently met with co-founder Stephen Backer, he told me about indie musician Zoë Keating, a cellist and composer, who was looking to make some extra money, as she had too busy a schedule to be able to tour at the time. Since she already had a following, and she promoted the show fairly well, she made over $3,800 during her hour-long set – which Backer points out is more than she made from Spotify in the entire year before. Numbers like that might not be typical, but if it's even a fraction of that, it's likely worth an artist's time. What it costs: 2ndLine will take a third of whatever you bring in from your viewing, but remember that while high quality live-streaming can be expensive – which other sites require – recording a performance can be much easier and much cheaper from the beginning. How to get started: Signing up is as easy as entering your email. From there, the site walks you through all the steps you need to take to make sure your show is successful. Have you tried live-streaming a show? Which website did you use? Tell us about your experience in the comments below!